two product lines: Traditional ELISA Kit and Ready-to-Use ELISA Kit. The kit is a sandwich enzyme immunoassay for the in vitro quantitative measurement of HCAM in human serum, plasma, tissue homogenates or other biological fluids. The microtiter plate provided in this kit has been pre-coated with an antibody specific to HCAM. Standards or samples are then added to the appropriate microtiter plate wells with a biotin-conjugated antibody preparation specific to HCAM. Next, Avidin conjugated to Horseradish Peroxidase (HRP) is added to each microplate well and incubated. After TMB substrate solution is added, only those wells that contain HCAM, biotin-conjugated antibody and enzyme-conjugated Avidin will exhibit a change in color. The enzyme-substrate reaction is terminated by the addition of sulphuric acid solution and the color change is measured spectrophotometrically at a wavelength of 450nm10nm. 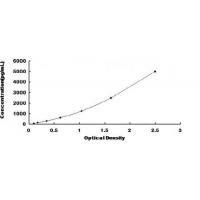 The concentration of HCAM in the samples is then determined by comparing the O.D. of the samples to the standard curve. Matrices listed below were spiked with certain level of recombinant HCAM and the recovery rates were calculated by comparing the measured value to the expected amount of HCAM in samples. The linearity of the kit was assayed by testing samples spiked with appropriate concentration of HCAM and their serial dilutions. The results were demonstrated by the percentage of calculated concentration to the expected. Wuxi Donglin Sci & Tech Development Co.,Ltd., is a supplier of biological reagents for life science, headquartered in the scenic area beside the Taihu Lake. Founded in 1998, our company began business as an OEM service provider of ELISA kits across the world. In 2013, we launched our own brand DLdevelop. 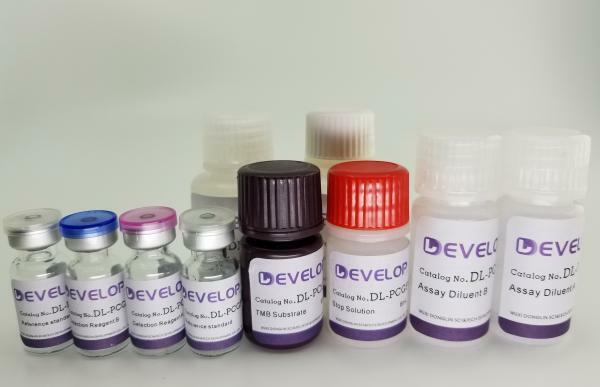 We specialize in manufacturing ELISA kits and our products have been distributed to the continents of Asia, Oceania, Africa, Europe and America.